Ask some drag racers about their car's ability to hook up, and they may reply with "this thing will hook on gravel." However, what you're about to see Mustang dragster Nitemare II pull off makes rocky road travel look quite easy in comparison. 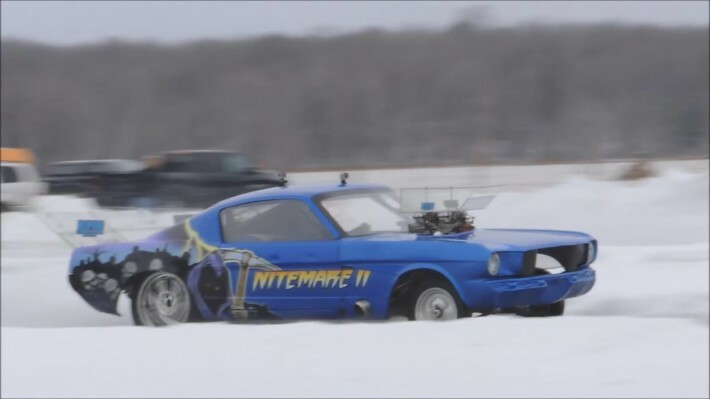 Quick Reply: Nitemare II Mustang Drag Racing On Ice!